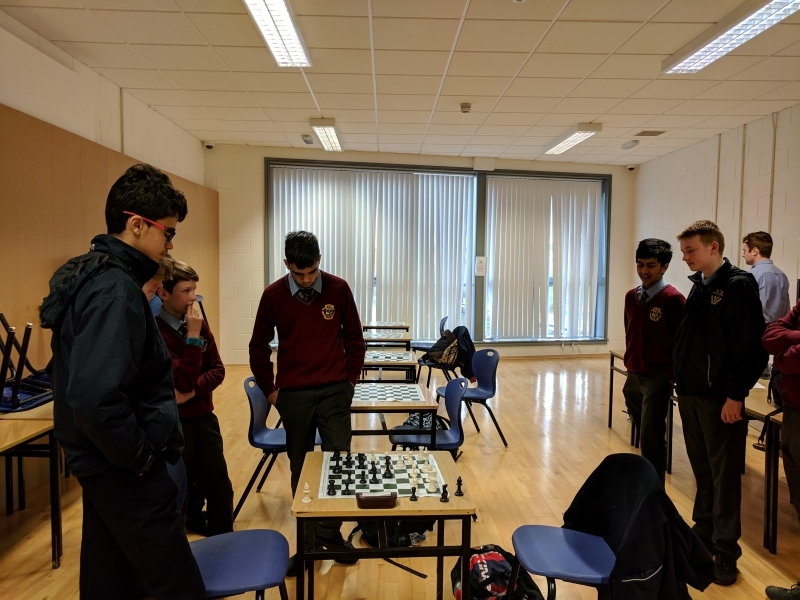 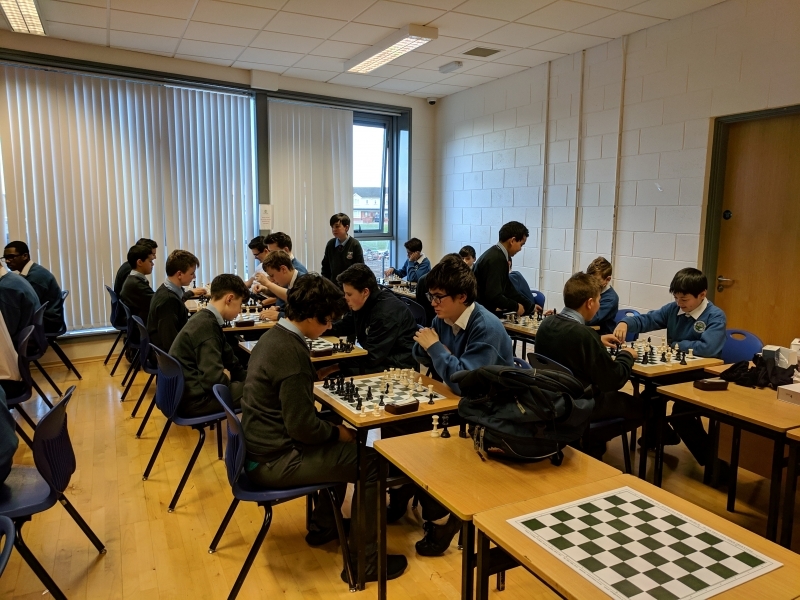 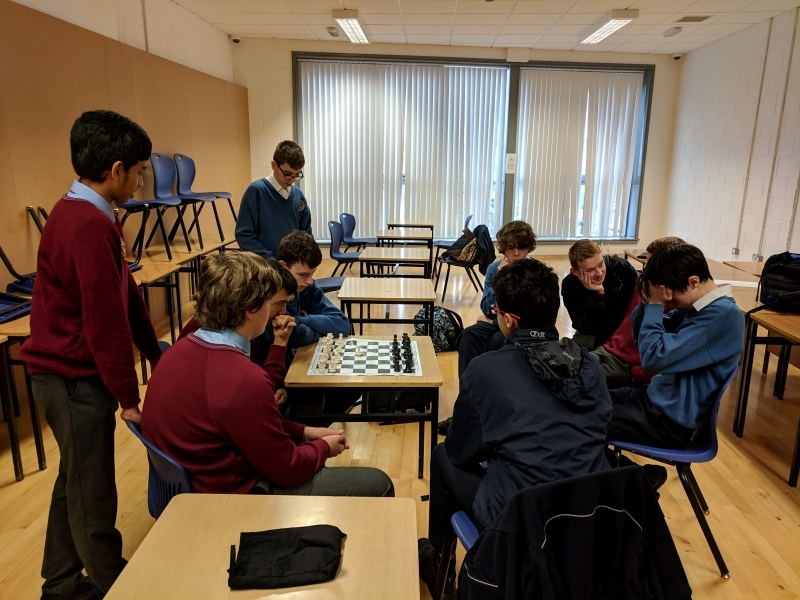 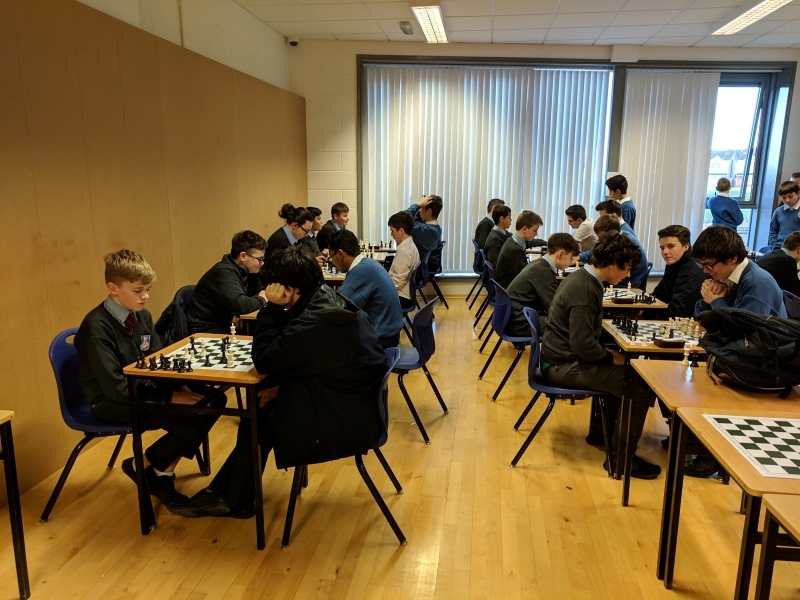 Our chess teams have recently enjoyed matches against Portmarnock Community College (in red), and against St Aidan's (in grey). 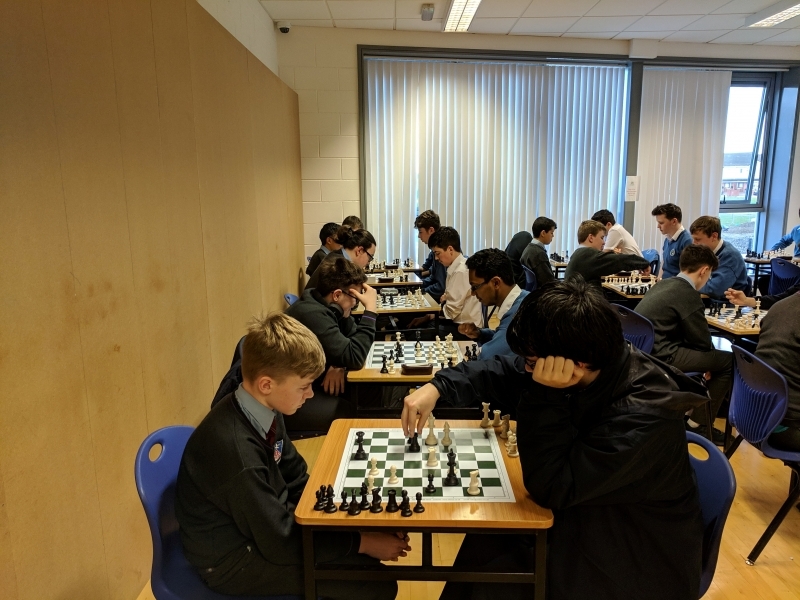 Our senior and minor A team were both able to beat St. Aidan's 3-2 and our junior team just missed out on the win, losing 2-3 in St Aidan's favour. 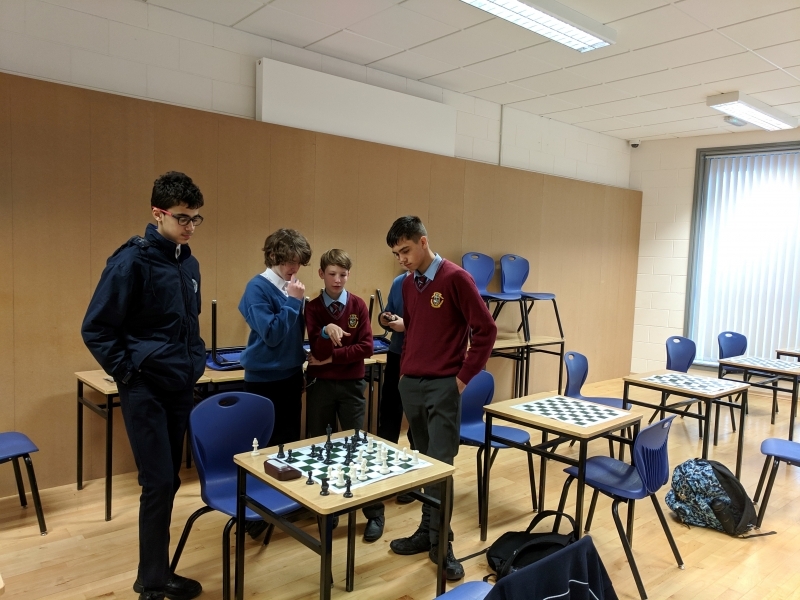 There was some fantastic chess played and the players were great ambassadors for our school.